A single view of service performance – across physical, virtual and cloud infrastructures – keeps network and IT operations teams in sync and proactive in delivering an exceptional customer experience. Over 30% of customer churn is due to network issues that were not identified or could not be solved. And it’s 50 times more expensive for service providers to win a new customer than to keep an existing one happy. With complex networks, it’s getting harder to get insight quickly to solve problems. How about stopping application and network problems in their tracks, before your customers notice? The Accedian SkyLIGHT solution generates billions of unique performance measurements per day, providing excellent visibility into your network, service and application performance. SkyLIGHT DataHUB IQ, powered by big data analytics and machine learning, filters those billions of data points down into valuable insights that you can take action on. SkyLIGHT DataHUB IQ is a cloud-native platform designed from the ground up to analyze huge volumes of time-series data in real time, providing levels of flexibility and speed that are not possible with legacy performance management tools. Leverages Machine Learning (ML) and Artificial Intelligence (AI) algorithms to handle billions of data points and dynamically baseline performance data, detect anomalies, detect patterns, correlate performance data and metadata and provide a view of service performance. Uses enriched data in queries, dashboards and reports in DataHUB IQ to provide additional network and service views, and to power correlation and prediction algorithms. 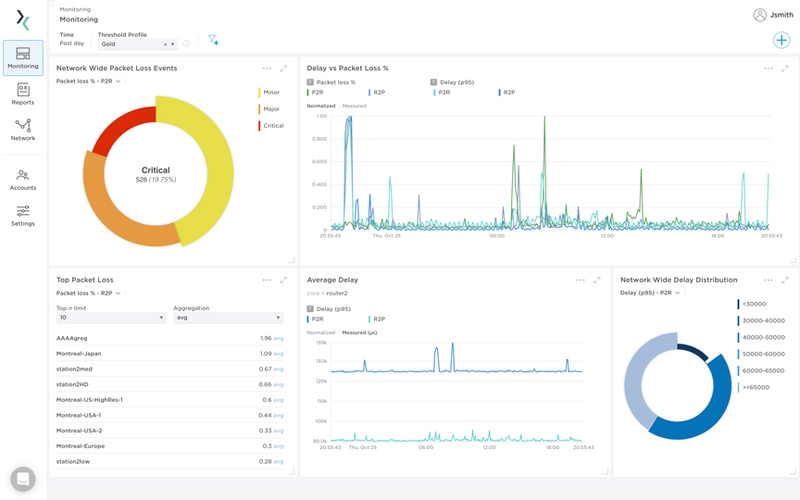 Drills down from user application issues deep into the network infrastructure with root cause analytics, configurable alerts, and machine learning-powered troubleshooting tools. Uses power of Apache Druid and Apache Spark to handle petabytes of data. 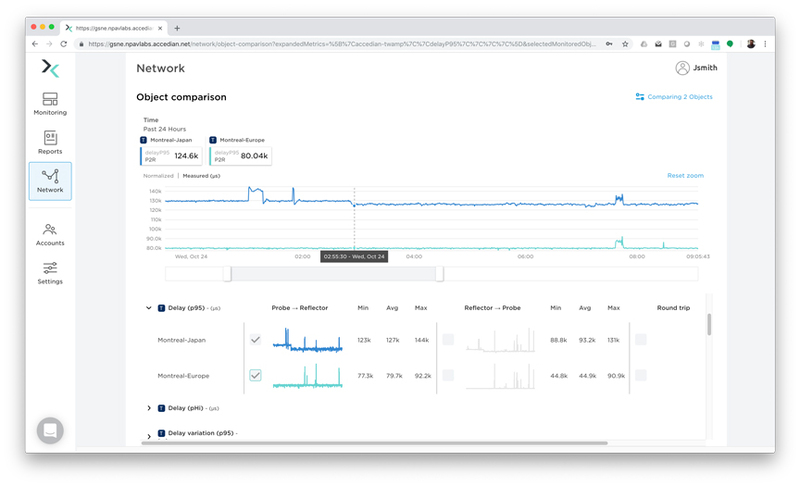 SkyLIGHT performance management KPIs, SNMP and CSV / XML / JSON files, streaming telemetry data using gRPC, and other similar data formats and protocols. Performance data can be correlated with data from other systems e.g. inventory, topology, vendor etc. Dynamically baseline performance data, detect anomalies, detect patterns, correlate performance data and metadata and provide a view of service performance. Drag-and-drop report dashboards, custom formats and ad-hoc data exploration and analysis.  Open and documented RESTful and JSON to and from third-party systems e.g. OSS, orchestrators etc. DataHUB IQ uncovers the underlying problem to see the ‘invisible’ cause of service performance issues using advanced machine learning and by correlating performance management KPIs together with other metadata sources (e.g., network topology). DataHUB IQ automatically cleans and removes "suspect data" to ensure highly accurate reporting and valuable insight that enables automation of network management and service assurance. DataHUB IQ makes it easy to digest third-party data sources and acts as a one-stop-resource for network and service performance intelligence. 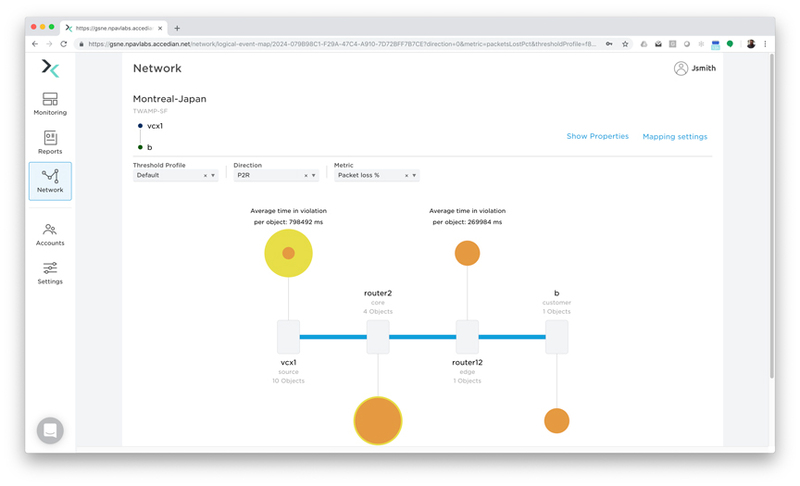 Build dynamic dashboards that provide a ‘single pane of glass’ view of network performance, using the power of machine learning to alert you to active and potential issues in the network. Drill down to determine the impact of an event alert (such as packet loss and latency) on your network and customer experience, and quickly identify the root cause. Leverage the power of performance data, using machine learning, to determine what other events are impacting the network and where the root cause of the problem is located. Easily visualize and correlate metadata to understand the root cause of the problem and how to resolve the issue. "We believe that we need to have tools that can correlate layer by layer so we can visually see the service layer and network layers. Now our tools are not correlated, we have Network Management Systems (NMS) from different vendors. If we need to troubleshoot, we have to manually do that in a single vendor NMS, if we can get a more unified performance visibility layer, that would really help." SkyLIGHT DataHUB IQ provides intuitive dashboards and reports that visualize application, service and network performance in real time with the ability to drill down and correlate data for maximum insight. Operations teams can quickly determine the origin of network and service issues, and how best to address them. Fully customizable reports, alerts, dashboards, KPIs and role-based views for each network and service type. Direct performance and QoE insights feeds to customer care portals, business stakeholders and Service Operations Centers (SOCs). Easy-to-use and intuitive user interface with drag-and-drop report dashboards, custom formats and ad hoc data exploration and analysis. With the move to software-defined networks and increasingly cloud-native network functions, there is a pressing need for new analytics-based monitoring software that can provide multilayer insight on service availability and performance – in real time and in context. SkyLIGHT DataHUB IQ streams data in real time to monitor how well services are performing, and whether it is time to make changes or adjust policies. Easily integrates with any SDN or orchestration workflow that can react in real time to events as they happen in the network. Enables closed loop automation capabilities with granular network and service visibility. Events can be processed in real time to increase the collection granularity and frequency of KPIs, or initiate the collection of other KPIs to improve the ability to correlate and do root cause analysis. Uses machine learning to identify patterns and anomalies and recommend fault fixes that with human training can then become automated fixes. "A key point for closed loop automation is that we are able to trust the data in real time and can handle fast transactions. We need the right data in the right format from the VNF – we don't want vendor-specific data – the data has to be ingested in a standardized way. At a high level we need fulfillment validation and assurance that the service is working."